Why do you e-mail articles to friends? Or "like" a link on Facebook? Or retweet a post on Twitter? Content that triggers an emotional response is more likely to be shared, according to a recent University of Pennsylvania study of the most e-mailed New York Times articles. What's more, "surprising" stories (like one about free-range chickens hanging out on the streets of New York) were also more likely to be passed along. But the most-shared articles are those that go beyond surprise to actual awe--or what the researchers defined as an "emotion of self-transcendence, a feeling of admiration and elevation in the face of something greater than self." In other words, people share the stuff that ignites a little spark in them. So what does that mean for you and your business? Why should you care about a kindergarten concept like sharing? Because a clear way to generate and nurture leads is to create content: a blog and maybe an e-book and a Twitter stream and so on. But it's pointless (and lonely!) to write a blog that gets no visitors and zero comments--and, consequently, affords no traction for your lead-gen efforts. Websites that facilitate sharing generate seven times more mentions online than those that don't (see below). So how do you grease the sharing skids? How do you get folks to share your stuff online? Here are some ideas. Websites that display Twitter sharing buttons are linked to on Twitter nearly seven times more often than sites that do not display tweet buttons. Among the 10,000 largest websites, those that feature Twitter share buttons are, on average, mentioned in 27 tweets that contain a link back to the site, whereas those not featuring tweet buttons are mentioned, on average, in only four tweets that contain a link back to the site. Ask yourself: "Would I share this?" It seems like a simple measure, doesn't it? To judge anything you produce--even a Facebook wall post or a simple tweet--on the criterion of whether you yourself would like, share or retweet it to your own network. And if you were to share it--would your network in turn share it? Because, ultimately, your goal is to reach not just your network--but your network's network. As my friend Scott Stratton says, people don't spread meh. In other words, people don't spread mediocrity. People spread great stuff. People spread stuff that inspires them to care. If you sell something that's not inherently interesting--like routers or lawn rakes--you might feel at a disadvantage here. But you shouldn't. See the next bullet point. Despite what you might have been taught in finishing school, having an opinion and expressing it in no uncertain terms is what will inspire others at an emotional level. So take a stand about something; become a linchpin for discussion around the topic. Part of the reason people share content is that it offers validation to those who share it: In another study the Times conducted with Latitude Research on the psychology of sharing, researchers found that 68 percent of respondents who share do so to give others a better sense of who the sharer is and what she or he cares about. Let your readers know where you are coming from, or how you feel about a topic. In other words, give them something to react to. Make sharing as effortless as possible. But if it's so stupid-easy, why don't most sites do it? 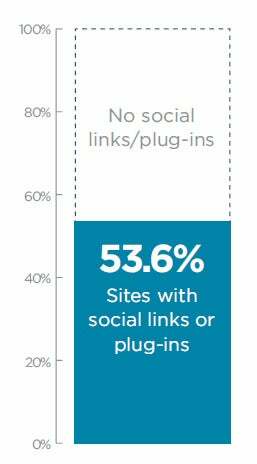 Only half of the largest 10,000 websites (or 53.6 percent) have at least one social link or plug-in installed, according to a recent study by SEO firm BrightEdge Technologies. 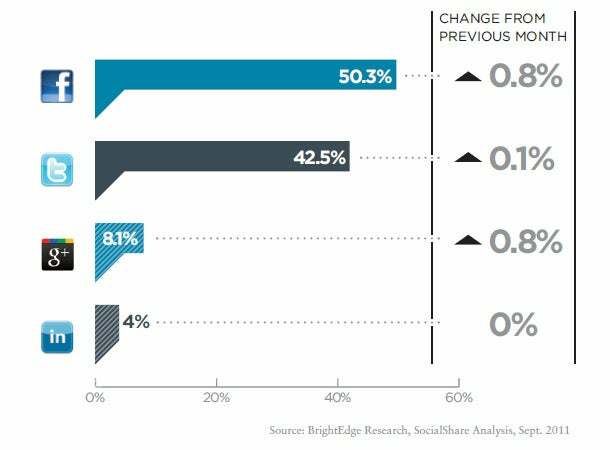 Facebook and Twitter dominate the social real estate on the homepages of top sites: 50.3 percent of the largest 10,000 sites on the web display Facebook links or plug-ins, up from 49.5 percent one month earlier, while 42.5 percent include Twitter links, up from 42.4 percent. Some 8.1 percent of websites already have Google+ share buttons, while only 4 percent display share buttons for LinkedIn. Pasting those buttons prominently onto your online content encourages sharing by making it easy, and it adds an element of social proof--validation--to whatever it is you're producing (Sixty-seven people shared this? It must be good!). You can use a catchall service like AddThis and ShareThis or blog plug-ins like Sociable to offer readers a kitchen sink of options, which is a tidy way to handle sharing. And, as new social networks emerge, the service will add those new platforms to the mix, so you won't have to. Create at least some winged content that can soar across the social web. Create things people want to share and that they'll find useful, helpful or just plain fun: branded e-books, white papers, audio or video downloads, infographics, PowerPoint slide decks, research charts, tools or photos. Create things they'll want to pass around or embed on their own blogs or sites. For example, I like the way Dr. David Reath, a Knoxville, Tenn., plastic surgeon, created an e-book called A Girlfriend's Guide to Breast Augmentation. It's helpful and (for the right person) informative, whether you intend to visit Dr. Reath or not. He offers it as a free download from his site and encourages readers to pass it around to friends--even the title encourages that. On his blog, he writes, "Whether you end up choosing Dr. David Reath in Knoxville, another board-certified plastic surgeon or decide a breast augmentation isn't for you, we think the pages in this guide will be super helpful." Indianapolis-based branding and design firm Brainstorm suggests that you might consider tastefully embedding a logo or other watermark in the corner of your photos and encourage other content creators to use them in their own digital work. Nearly 54 percent of the largest 10,000 websites now display social sharing links or buttons for one or more of the four major social networks (Facebook, Twitter, Google+ and Linked- In) on their homepages. That level is up from 52.8 percent one month earlier.